The part 1 of this article was covered in Henna & Mustard Seed. 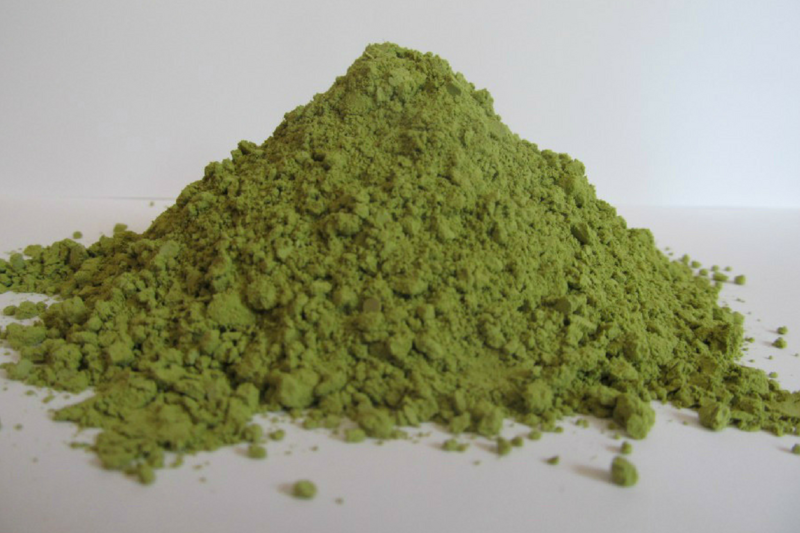 This article will address using henna powder and indigo to dye hair. This method is very safe and lasts for up to 4 months without any need for a touch up. 1 packet of henna (make sure it’s natural henna and free of any additives). 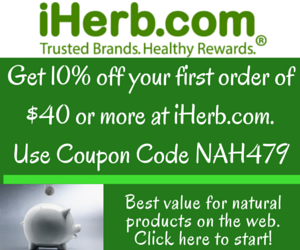 I use Nupur henna. 1 bottle of lemon juice. You can use fresh lemons but you’ll be squeezing for quite some time. The bottled one from the grocery store works just as well. 2 packets of indigo powder. This is for hair below the shoulders. If you have less hair, you’ll probably only need 1 packet. 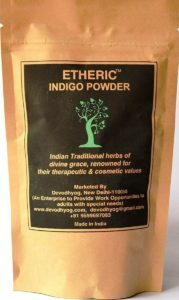 You can buy indigo powder online on souq.com or at the spice souq in Deira. If you have any problems locating indigo, leave a request in the comment section below. Empty 1 packet of henna into a bowl and mix with enough lemon juice to form a mashed potato consistency then cover with cling film and set aside in a cool location for 2 days before your treatment. This process releases the dye from the henna. When you’re ready to use it, add in more lemon juice and keep mixing until it’s as smooth and runny as yoghurt. Some people also add in various kinds of tea or coffee into the henna but personally, I found this to reduce the effectiveness of the dye. Apply to your scalp and hair generously. Slather it on like you’re rolling around in mud. Afterwards, wrap cling film around then leave on for up to 5 hours. Rinse out afterwards with cool water and conditioner. This requires several rinses and can be a tad annoying. When you have all the henna out, it’s time to mix the indigo powder. 1 – 1½ packets should suffice depending on the length of your hair. Mix the indigo with water until it’s smooth then apply to your hair immediately. Cover with clingfilm and leave on for 1 – 3 hours. Wash out with water then deep condition afterwards. The indigo over henna will leave your hair a deep blue-black colour. You don’t have to use indigo as the henna works fine on its own. You can also mix equal parts of henna and indigo or more henna with little indigo for different shades of brown to auburn. Do not use indigo alone. You will end up with bright blue hair. 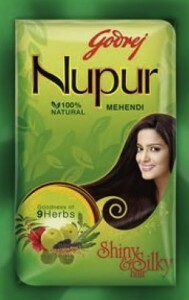 My favourite brand of henna is Nupur Henna, which you can find in most supermarkets. You can also buy henna online on souq.com. If you’re new to henna and indigo, you will find this messy and it might take forever but as you practice more, you will eventually learn to manage the amount of time you spend on it and fine tune your process. Timing: 8 – 10 hours. You can reduce the time by applying the henna to your head overnight and washing out the next morning. 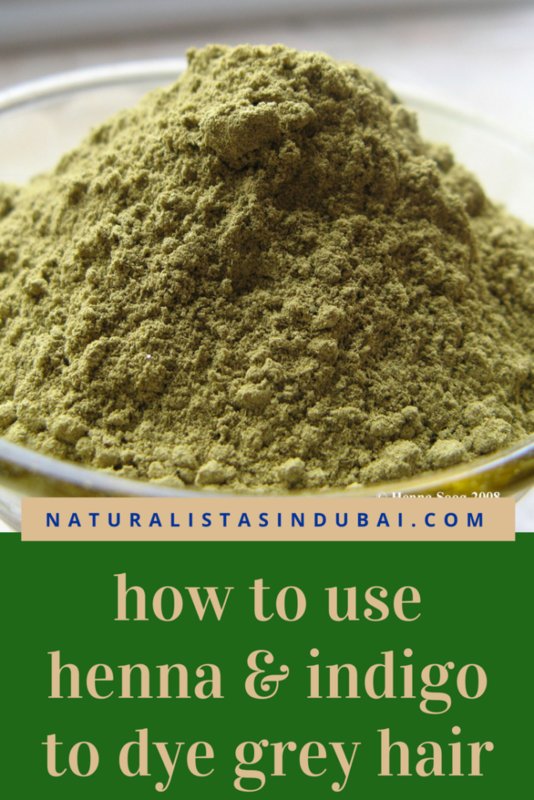 Related Content: Where to Find Indigo Powder in Dubai. Don’t know unfortunately. We’re located in UAE and can only recommend where to find it here. Hi Rita, sent you an email with more information. Hi. I’m in Dubai and I can’t find indigo at the supermarkets. Please help. Hi FZ, check your email. Check your email. I’ve sent some info across. Hi Mariam, you can find indigo at the Spice Souq in Deira. If you still can’t locate it, respond to this comment. Thanks. hello, I live in Abu Dhabi. where can i buy indigo henna and natural henna here? I am residing in Sharjah and looking out for indigo powder. Can u pls tell me where I can purchase or do u sell. It will be gr8 if u can help me. Thank u.
Hi Anita, check your email. I haven’t received any reply from ur end in my inbox, kindly confirm. Thank u.